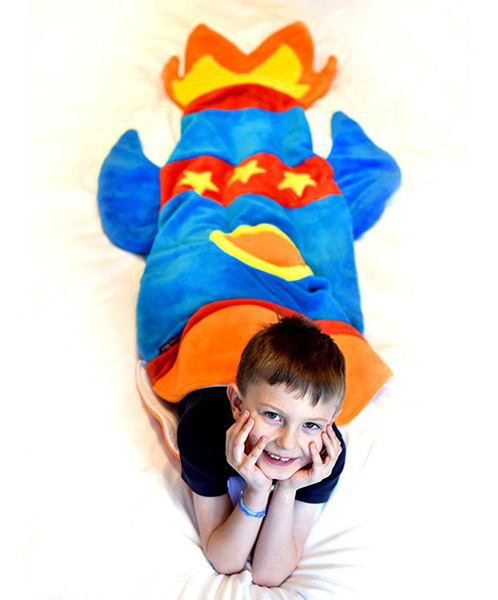 Each Blankie Tails rocket blanket is made with premium-quality, extra-plush, double-sided minky fabric that will soar above expectations! The unique design lets kids climb inside (like a sleeping bag without the bulk) and put their feet all the way into the flames! Fake ones, of course! Sized for kids ages 5 to 12 who are no taller than 4 foot, 11 inches. The rocket blanket measures 56" H x 27" W.